Spread it on crackers or oatcakes, use it as a dip, use as an alternative to mayo on sandwiches, have it with salads…entirely up to you how you enjoy this hummus! Place the walnuts in a small frying pan over a medium heat and toast for about 4-5mins, shaking the pan often to avoid the walnuts burning. 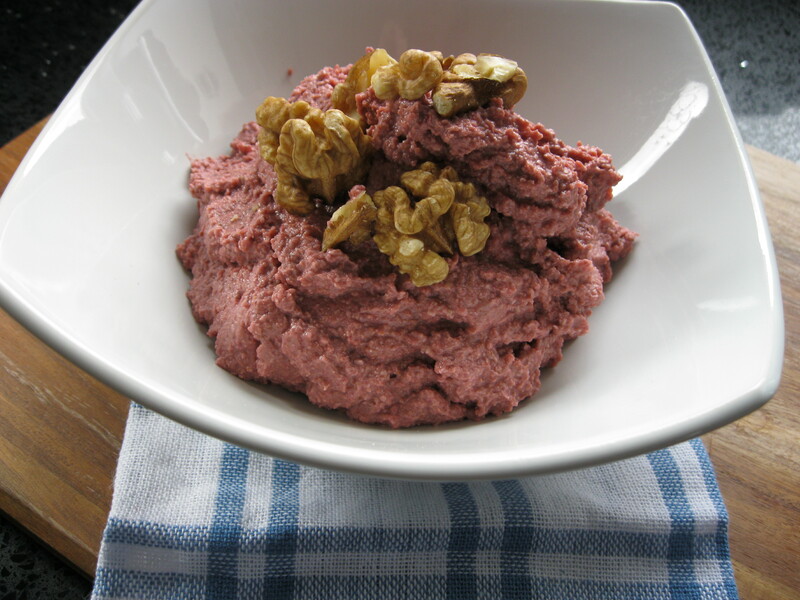 Once the walnuts are toasted, place all ingredients in a food processor and whiz until blended and to a consistency you want. 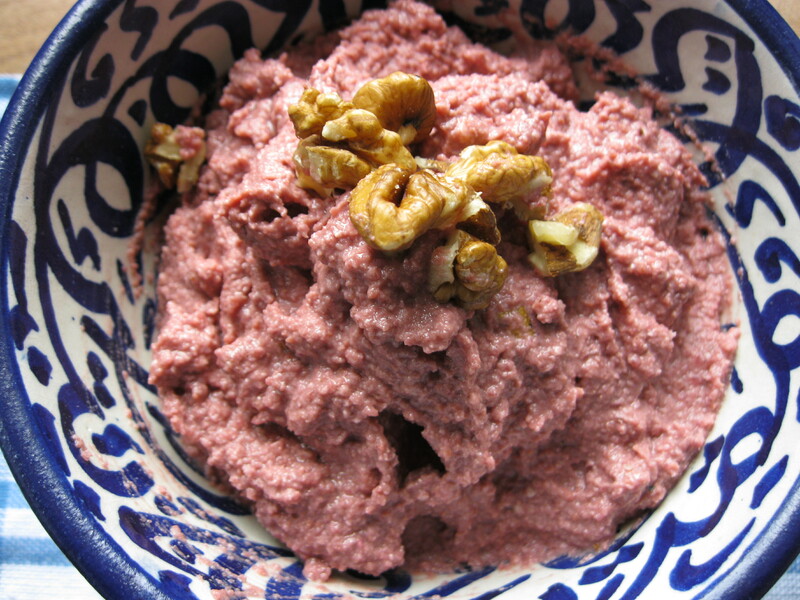 Scoop in to a serving bowl and top with chopped walnuts.